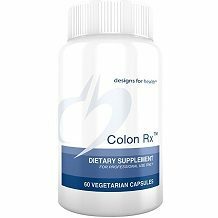 The following review is for a product called Colon Rx. This product claims to improve bowel movement and muscle tone for people who suffer from occasional constipation. It can also be used for brief periods as a fast-acting mild laxative used for periodic bouts of constipation or as a bowel tonic to use everyday to help strengthen the bowels. In use for over 2,000 years, triphala is a staple of Ayurvedic medicine In India. it is considered the most versatile and best out of all herbal formulations. Triphala is a traditional herbal formulation derived from the dried powder of three different fruits. The name comes from combining the Sanskrit words “tri” meaning three, “phala” meaning fruit and “churcha,” which means powder. Triphala contains ellagic, gallic and chebulinic acid, all of which are strong antioxidants. It also contains polyphenols and flavonoids, which have anti-inflammatory, antibacterial and antidiarrheal abilities. Besides the triphala we found that this product is lacking in key ingredients such as psyllium husk and apple pectin which are used for treating conditions such as constipation and effective regular bowel movements. The recommended dose to use as a dietary supplement is to ingest two capsules with 8 ounces of water just before you go to sleep or as directed by your health professional. We find the dosage to be excessively small in comparison to other products which suggest to raise the dosage and encourage taking them at separate times of the day. Allergic reactions such as skin rashes, itching or hives as well as swelling of the face, lips or tongue. These are quite serious and worrisome side effects and is best to consult with your physician before starting with this product. The product size is 60 vegetarian capsules with 30 servings per container. It costs $21.00 and you can purchase it online from the manufacturer’s website. It looks like there are no special discounts or other prices associated with the product. The price is not too bad when compared with similar products although similar products had more ingredients to them which justified their pricing. A guarantee could not be found on the actual Designs For Health website. It is slightly concerning that a guarantee or warranty couldn’t be found with this product. 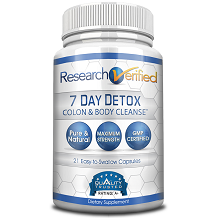 We found this product to be sufficient in its objective – that of improving bowel movements in people suffering with occasional constipation and who needed something to help with their colon. The fact that it lacked in many ingredients that are beneficial to others suffering from the same plight was worrisome and we found the side effect of its main ingredient very concerning. This particular product would not be at the top of our list with regarding to the health of your colon and bowels.